Faculty, staff, students, alumni and friends of Cal Poly are asked to cooperate with the licensing program by purchasing goods bearing the Cal Poly name and trademarks from manufacturers who have been licensed by the University. Cal Poly requires that anyone manufacturing products bearing its name, marks, or logos become a licensee. Licensees manufacturing Cal Poly products for resale must attach a label or tag to the product to let the consumer know that the product is an officially-licensed item. 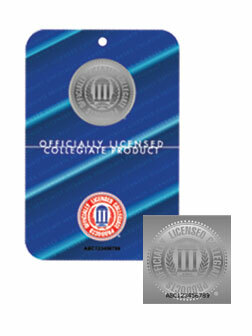 Buyers should look for the “Officially Licensed Collegiate Products” hologram label which signifies merchandise has passed the standards of quality set forth by Cal Poly and that a portion of the purchase is returned to Cal Poly.